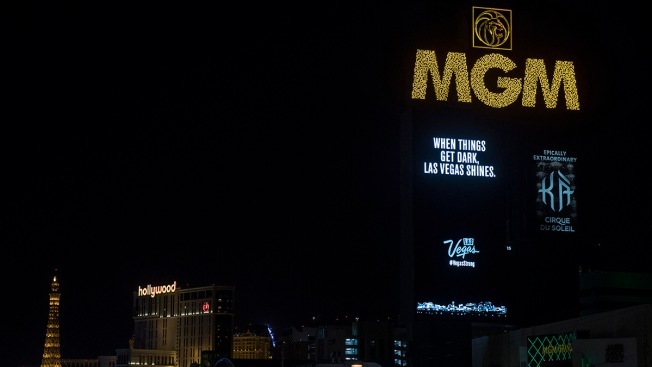 This Oct. 8, 2017, file photo shows a tribute message for the victims of the Route 91 Harvest country music festival after the marquees on the Las Vegas Strip went dark for 11 minutes, displayed on the marquee of MGM Grand Hotel & Casino in Las Vegas, Nev.
MGM argues that a federal law enacted after the Sept. 11 terrorist attacks protects the company from liability. The lawsuits target victims who have sued the company and voluntarily dismissed their claims or have threatened to sue. 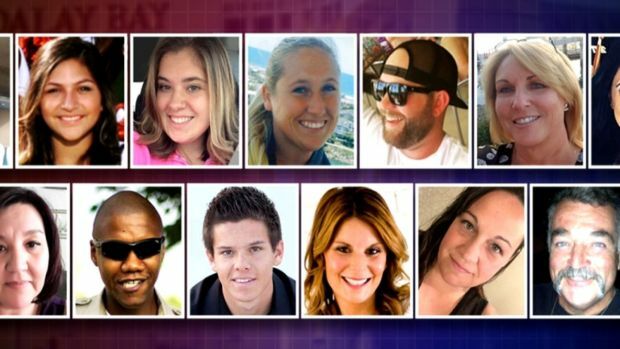 58 people were killed and hundreds were injured last year when a hotel guest rained gunfire from his room down onto a country music concert. MGM Resorts International has sued hundreds of victims of the deadliest mass shooting in modern U.S. history in a bid to avoid liability for the gunfire that rained down from its Mandalay Bay casino-resort in Las Vegas. Stephen Paddock killed 58 people and injured hundreds more last year before killing himself. Victims with active lawsuits against MGM don't face the company's legal claim. MGM claims the victims — through actual and threatened lawsuits — have implicated CSC's services because they involve concert security, including training, emergency response and evacuation. 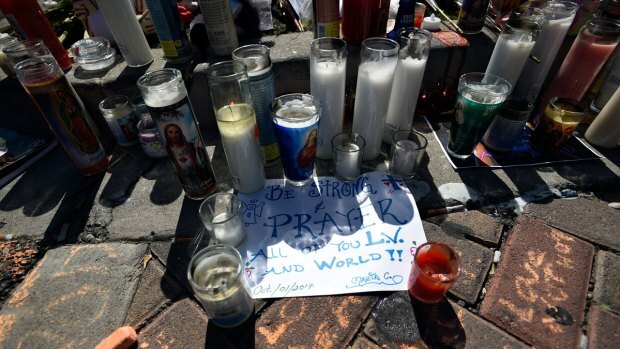 "If defendants were injured by Paddock's assault, as they allege, they were inevitably injured both because Paddock fired from his window and because they remained in the line of fire at the concert. Such claims inevitably implicate security at the concert — and may result in loss to CSC," according to the MGM lawsuits. CSC's general counsel, James Service, told The Associated Press on Tuesday that it doesn't comment on litigation involving the company or a third party. MGM wants a court to declare that the U.S. law "precludes any finding of liability" against the company "for any claim for injuries arising out of or related to Paddock's mass attack." Brian Claypool, an attorney who was at the music festival during the shooting, called the lawsuits a "hypocritical maneuver" that will turn into a "public relations nightmare for MGM." "We collectively view this as a bullying tactic to intimidate the survivors who are rightfully seeking social change and redress through the litigation process," Claypool, who represents dozens of victims, said in a statement. MGM spokeswoman Debra DeShong said Congress determined that federal courts should handle any lawsuits over mass attacks where federally certified security services were provided. "While we expected the litigation that followed, we also feel strongly that victims and the community should be able to recover and find resolution in a timely manner," she said in a statement Tuesday. Attorney Robert Eglet, who represents victims in a lawsuit pending in federal court in Nevada, also decried the casino operator's move, saying the company is filing complaints nationwide in search of a sympathetic judge. He told AP he has been flooded with calls from victims. "This is absolute gamesmanship. It's outrageous. It's just pouring gasoline on the fire of (the victims') suffering," Eglet said. "They are very distraught, very upset over this. MGM is trying to intimidate them."